So, I had not taken a close look at this thing since being removed from my current project. I am not sure if anyone makes an overlay for this. It is a shame, since the gauges were all working well. The needles appear to be staked - is there a way to remove them without destroying them, and the individual gauge cans are held onto the face by some tiny rivets - does anyone have experience in removing and reinstalling? Note - the lighting makes the needles look orange - they actually are a nice solid red. Lastly how do you remove the clock adjustment **** on the tach? The Parts Place sells "repro" faces. The needles can be removed by carefully sliding a fork under the center and gently prying up, they are just pressed on. I have replaced the faces on several of these gauges, it is not a big deal. Call for details? Thank you Scott. Will do tomorrow. Thought I was sunk on this. Rally Pack - How Do You Remove The Center Escutchon On The Gauge Face? Help! 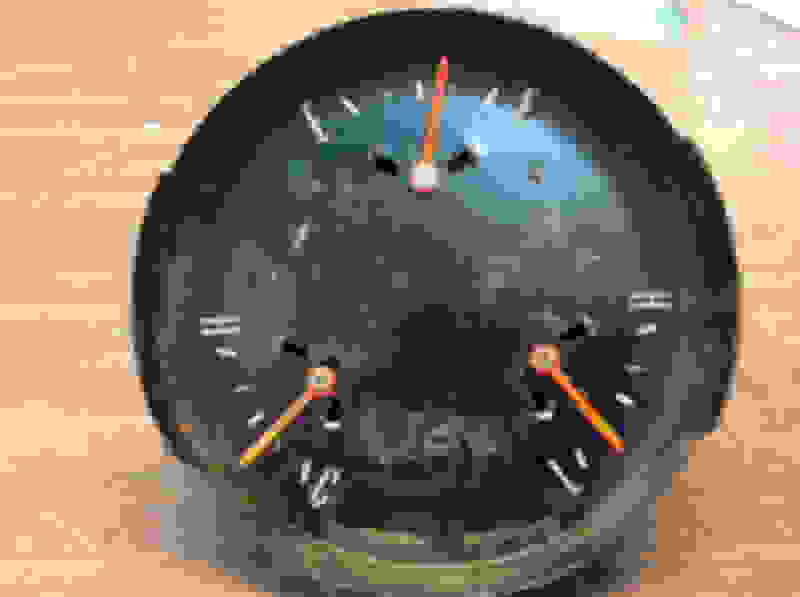 Quick Reply: Rally Pak Gauge Face - Any Ideas?